The latest Battle Chasers: Nightwar patch is available to download now on PlayStation 4, and it's bloody huge. We're not talking about the size of it, either -- we're referring to the massive list of changes and improvements that it promises. For those of you who don't know, the role-playing title has apparently been plagued by crashing issues and other technical hiccups on Sony's system. This update supposedly fixes many of these problems, and readjusts the balance of the game in a bunch of different ways. In short, patch 1.02 should improve the experience to a significant degree. The Blacksmith found a bunch of gold in his old apron: Cost to upgrade the Blacksmith has been reduced to 500g for the first upgrade and 2000g for the final upgrade. Vendors became a little less greedy and you can sell items to vendors for slightly more. Fishing comparison display is fixed. We figured actually seeing accurate numbers was a good idea. Perks should always unlock at level 6. If they didn’t unlock for you, you should see them unlocked with this patch now. Increased gold acquired from creatures, chests, boxes/crates. Also, fixed a bug where minor loot objects (crates, barrels, jars etc) were giving too little gold outside of the first dungeon and Strongmont. Enchanting Shrine will be guaranteed to spawn in Path of Fangs and Deadwatch. The room containing The Shade of Belevros in the Iron Outpost should spawn a loooooot more now. Lycelot Alpha Trackers realized they should sometimes whiff their Claw Barrage attack and players will be able to evade its strikes now like any other attack. Also damage of it reduced slightly. Fixed missing name/description for starting weapons for Knolan and Red Monika in New Game Plus. Mantle of Aramus has been changed: Places a damage shield on Gully that absorbs damage. For the next 3 turns, anytime Gully receives damage, she will be healed. Stun Immunity duration increased to 4 turns from 3 turns after a hero or enemy is stunned. Each Heroes’ Legendary Weapon power has been reduced slightly (still the best weapons in the game!) This fix isn’t retroactive, so if you already have the legendary weapons in that run, they will remain extra crazy. Fixed a bug that sometimes caused heroes who gained multiple levels at once to not receive all the perk points they should have. If you’ve been effected by this, you may notice some of your heroes have more perk points than they did before! Fixed a Bug in which you can get infinite xp from the king slime. We think that’s a little too much xp. The boss of Deadwatch was incorrectly leveled in NG+ on Mythic Difficulty. 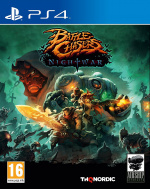 Have you picked up Battle Chasers? What do you think of it? With any luck, we'll have a review of the game up for you to read in the near future, but until then, pray that it doesn't crash again in the comments section below. Why even release a game when it has this many issues? Delay if for a couple of months and put out a much better product ffs. I know the reason always comes down to "publisher X wants developers to hit date Y" but it's getting damn annoying. @meppi Not all of these issues are that big and the one's that are likely didn't appear during playtesting. That's just the way things go, bigger games with full $60 pricetags have been much worse off. Always nice to see a developer squash out bugs and clean up their games. I haven't picked this up yet - I have much too many RPGs on the backlog - but its nice to know that when I do get to it, it'll be a much more solid version. @meppi I played for 15 got as of this morning and never had any issues, so it could be something that eluded QC but once you're on thousands of different consoles popped up. It's not ideal but better than NES days where broken games just stayed broken. 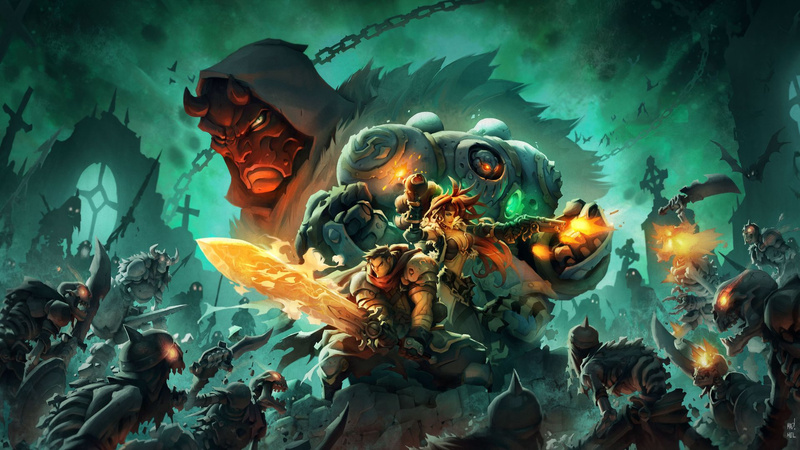 I'm enjoying the game on Xbox One with no problems , a lot of fun this role-playing game.Cool story as well. @ShiggleMan @BraveFencerZan @meppi Personally... I prefer the way releases were prior to the addition of internet access, where devs were ‘forced’ to release a game after bugs were reduced to a rare occurance. People might say that these bugs weren’t found prior to release, however a quick general look at the bugs found in games before there was the ability to update online, and then compare that to games these days now that updates are available, will show a pretty obvious increase in problems on or after release day. It’s very much about ‘not delaying’, hence the ‘day one patch’ (which is often huge) that is for almost every game these days. Nintendo first party has been doing much better at getting this right with small patches, but many of the rest, are rediculous. @RoyalGuard Really? The crashes were indeed horrible (I would get at least 2 for every play session) but the game auto-saves constantly. Never lost more than 5-10mins of play time.